It is hard to believe that, as I write this, ZooLinK is almost four years old. During those four years, the topic of surveillance has risen even higher up the infectious diseases agenda. There are two main reasons for this. First, there is the recurring threat of emerging viral diseases, such as Ebola and Lassa fever in Africa, where early detection is a key element of a successful public health response. Second, there is a greatly increased global awareness of the public health threat posed by antimicrobial resistance (AMR), leading to the realisation that AMR surveillance is challenging and, often, is not being done particularly well. Despite this, diagnostics and surveillance are not priority topics for many funders; though thankfully some, such as our own BBSRC and others such as B&MGF, do ‘get it’. So projects such as ZooLinK have an opportunity (and perhaps a responsibility) to make the case for surveillance by demonstrating actual or potential public health benefits. I believe that we are doing that although, in these late stages of the project, it is important that we put our arguments out there in the form of conference talks and publications. I frequently use the Busia lab as an example of what can be done when I am speaking on infectious disease surveillance at conferences and meetings. That small facility has a great deal going for it. First and foremost, it’s in a very appropriate location, a densely populated largely rural area where the infectious disease burden is high and local resources are inevitably overstretched. Second, it’s appropriately set up and equipped so that we can do what needs to be done even when working in less than ideal conditions, just as you would find in so many other locations in Africa and elsewhere. Third, we have a small but very skilled team, without whom nothing could be done at all but with whom so much is possible. Many thanks to Laura and everyone else in the Busia team for all their hard work. I’m particularly excited by the fact that we can use the Busia lab to generate genome sequences. Stefan Rooke’s work with the Minion portable sequencing system has proved the principle. It wasn’t so long ago that genome sequencing was a multi-million dollar activity requiring considerable investment in equipment, infrastructure and technical support. Now we can do it in Busia! Stefan is working on bacteria, especially plasmids carrying antimicrobial resistance genes, but the technology will work for any kind of genome we might be interested in. That said, turning proof of principle into routine practice is not going to be easy. There are many challenges in making genome sequencing directly relevant to patients and local communities in a setting like Busia – cost and ease of use come to mind immediately. But we have to start somewhere, and I believe that ZooLinK taking the first steps down a path that will one day make a real difference to infectious disease surveillance right across Africa. Kenya’s urban poor federation Muungano wa Wanavijiji is working with food vendors in informal settlements to reveal their challenges and explore how to promote food security. 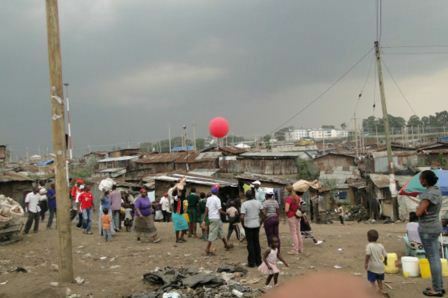 Muungano is a member of Slum Dwellers International (SDI), a network that aims to improve shelter, services, and government responsiveness to the urban poor. The ongoing project is complement-ing other Urban Zoo activities, as well as building upon Muungano’s past experience with grassroots data-collection and advo-cacy. Working alongside Muungano are community residents, pro-poor financial analysts at Akiba Mashinani Trust (Muungano’s financial wing), and researchers at University College London and UC Berkeley. This action-research project is utilizing participatory methods to understand vendors in Nairobi’s informal settlements of Korogocho and Viwandani. Vendors sell a variety of items in these settlements such as fresh produce; meat, fish, and eggs; cooked and uncooked foods; beverages; and snacks. A mobile phone application is capturing vendors’ demographic and business profile, while base-maps and balloon-mapping (low-cost aerial photography with balloons and a simple camera) are generating detailed spatial data on their locations. Finally, focus group discussions (FGDs) are delving into traders’ constraints, coping strategies, and priorities for change. However, vendors often face multiple challenges in their settlements like overflowing drains, minimal water and sanitation, uncollected rubbish, and elevated insecurity. In turn, widespread hazards and poor infrastructure or services can threaten food security by jeopardising vendors’ livelihoods and customers’ access to food. But the project’s maps and FGDs are uncovering these concerns and, moreover, a Food Vendors’ Association (FVA) has been established to increase their collective strength, amplify their voices, and advocate for much-needed interventions in the future. 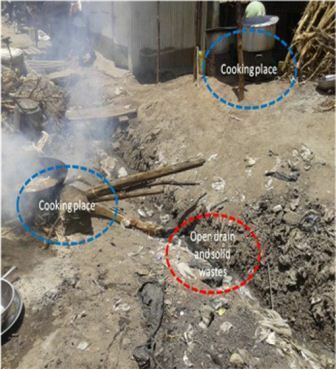 This action-research project is utilizing participatory methods to understand vendors in Nairobi’s informal settlements of Korogocho and Viwandani, with support from APHRC and ILRI team members from the Urban Zoonoses project.